Seiko Kawachi - Seiko Kawachi began experimenting with printmaking while studying oil painting at the Tama Art University. 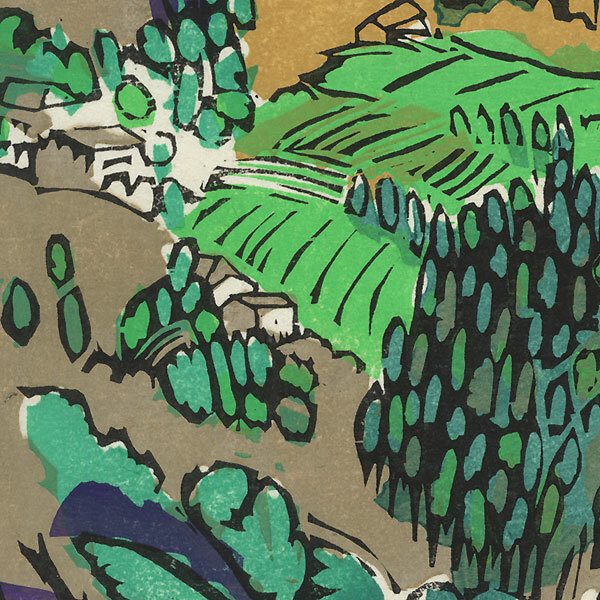 He initially worked in silkscreen and lithography, turning mainly to woodblock prints after joining the Nihon Hanga Kyokai in 1976. 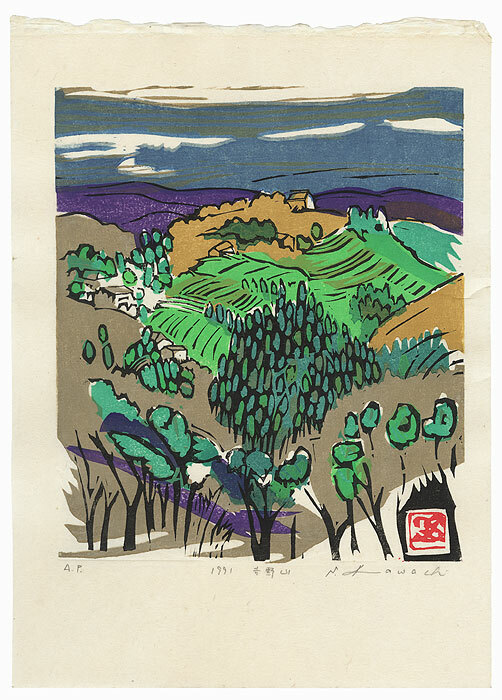 Kawachi exhibits internationally and has won many awards for his prints, and his works are in museum collections around the world, including the British Museum and the State Museum of Oriental Art in Moscow, Russia. These colorful designs have a spontaneous, painterly quality, with sketch-like drawing and fresh color. 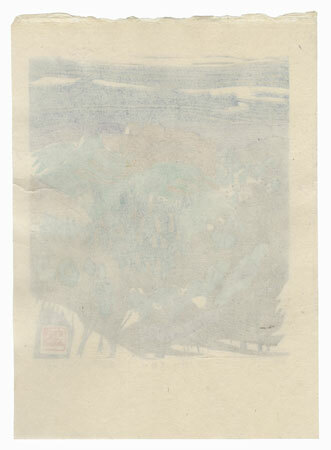 Each limited edition woodblock is pencil signed and numbered either A. P. (Artist's Proof) or P. P. (Printer's Proof). A nice choice for a collector of contemporary Japanese sosaku hanga. Condition - This print with excellent color and detail as shown. Some prints have a few small spots. Please see photos for details. Generally in nice condition overall.